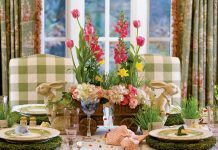 Revel in the early days of fall with these bright and happy floral arrangements. is more welcome than the sunflower. Showcase this brilliant bloom with an arrangement that combines its pretty petals with those of kangaroo paw in similar colors. Paint a small wooden crate, allow it to dry, and then sand it lightly for a slightly timeworn finish. 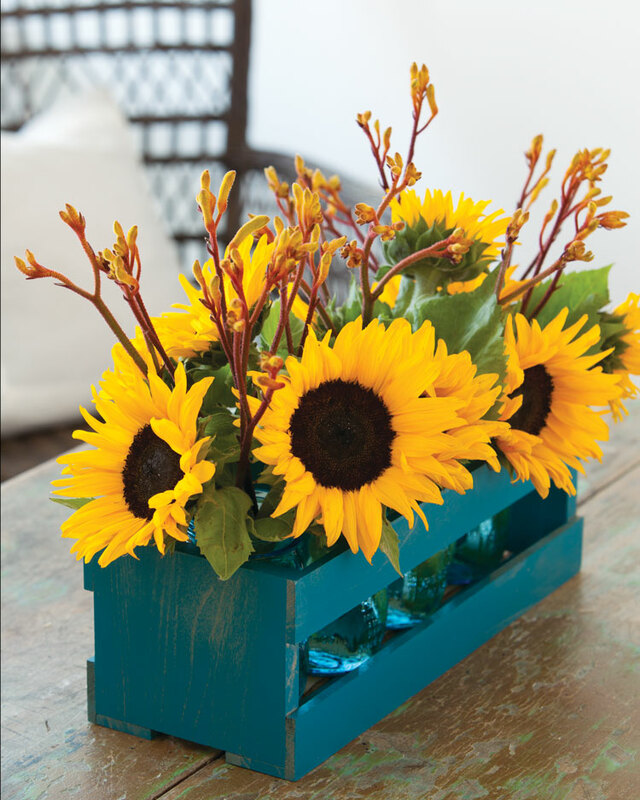 Place three Mason jars in the crate, fill them with water to 2 inches below the rim, and add two or three mini sunflowers to each, filling in with stems of kangaroo paw. The sunflower is a sassy little thing, with its frilly cap of petals around a simple and sincere face. No wonder it’s the star of any fall display! 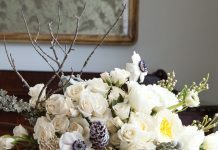 This striking arrangement, anchored with a half dozen or so of these bright blooms, captures all the exuberance of a brilliant autumn day. 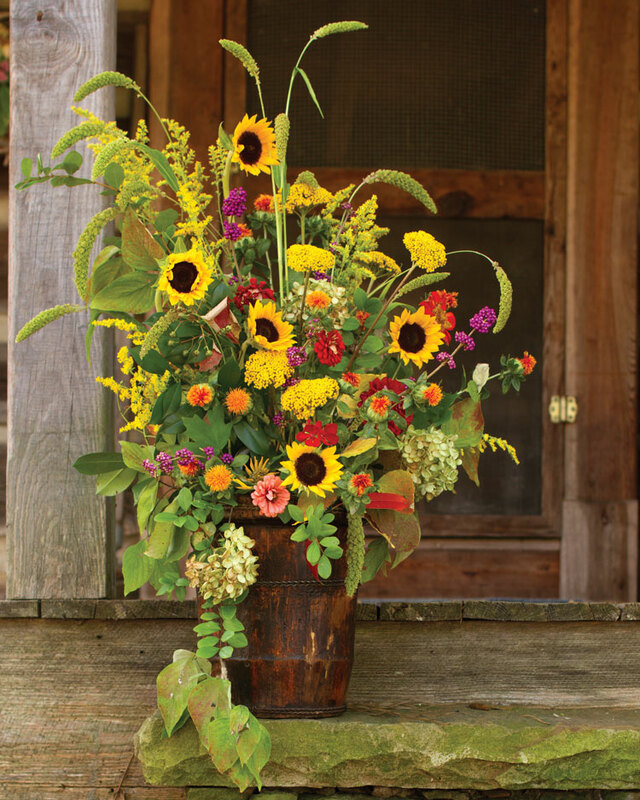 Floral designer Carol B. Harris of Lillie’s in Birmingham, Alabama, chose a vintage sap bucket for a rustic yet charming container and created a giant bouquet with sunflowers, millet, zinnias, yarrow, solidago, PeeGee hydrangea, safflowers, and branches of beauty berry. Its vivid harvest hues and graceful design offer a beautiful and cheery welcome for any home’s entryway. Get more fall decorating ideas here, and let us know your favorite style tributes to the autumn season!